Each October, the Association of American Medical Colleges (AAMC) publishes its “Debt, Costs and Loan Repayment Fact Card”. It surveys recent medical school graduates and details the amount and composition of their student loans. Over eighty percent of the Class of 2015 graduated with student loan debt. On average they owe a staggering $180,000. For most, that amount will grow during residency as these young doctors limit or forego loan repayment. Fully forty percent hope to apply for the federal government’s Public Service Loan Forgiveness (PSLF) program. For qualified applicants, PSLF offers full loan forgiveness after ten years of reduced debt service payments. It sounds almost too good to be true. It probably is. PSLF is process-heavy and has strict application criteria. The combination will disqualify many doctors. Moreover, the government may implement significant program restrictions before it forgives its first student loan in October 2017. Consequently, there is no guarantee that borrowers currently enrolled in income-driven repayment plans and eligible for PSLF will receive full loan forgiveness. This is borrower-beware time. When contemplating student loan restructuring, medical professionals should understand the costs, benefits and risks of restructuring alternatives. This includes the opportunity cost of continuing to repay debt at above-market interest rates while hoping to qualify for federal loan forgiveness. Today’s medical students confront a two-headed beast when paying for medical school: skyrocketing costs and increased reliance on unsubsidized loans for paying tuition, fees and living expenses. The median non-resident cost for attending public medical schools has tripled from $20,105 in the 1995/96 academic year to $60,437 in the 2015/16 academic year. The equivalent non-resident private medical school costs are $24,204 in the 1995/96 academic year and $56,702 in the 2015/16 academic year. As these figures show, it is now significantly more expensive for non-residents to attend public medical schools than private medical schools. State funding cutbacks for medical education account for this shift. Over four years, the unsubsidized cost of medical education is approaching $250,000. That amount comes on top of similarly skyrocketing undergraduate education costs. As medical school costs have risen, medical students have relied increasingly on unsubsidized federal loans to fund their education costs. For graduate education overall, unsubsidized federal loans have increased from $3.2 billion for the 1995/96 academic year to $33.6 billion for the 2014/15 academic year. While the costs of graduate education have tripled in the last twenty years, the level of unsubsidized student loans has increased more than ten times. In all likelihood, that ratio is even worse for medical students. As of July 1, 2006 all Stafford Loans carry a fixed interest rate. That interest rate for unsubsidized graduate Stafford Loans was 6.8% from 2006 to 2013. In 2006, the federal government introduced unsubsidized Graduate PLUS Loans with no annual or aggregate limits. These are fixed-interest rate obligations with a four percent origination fee and no grace period. Interest accrues and capitalizes during forbearance. The interest rate for Graduate PLUS Loans was 7.9% from 2006 to 2013. In the Budget Control Act of 2011, the federal government eliminated subsidized Stafford Loans for graduate and professional students made on or after July 1, 2012. In 2006, the federal government limited the interest rate on student loan refinancings to the average interest rates of existing loans. Prior to 2006, graduate students could refinance federal loans at lower interest costs. For example, some medical students refinanced their student loans in 2003 for less than 1%. Perkins Loans, the one remaining form of federally-subsidized graduate student loans, expired on October 1, 2015 although some grandfathered provisions enable disbursements through 2020. The Bipartisan Student Loan Certainty Act of 2013 altered the formula for calculating student loan interest rates. The new formula is the interest rate on ten-year Treasury notes plus 3.6% and 4.6% respectively for unsubsidized Stafford and Graduate PLUS Loans. Interest rates change annually based on market conditions. Initially, rates for the Stafford and Graduate PLUS Loans fell to 5.41% and 6.41%. They currently are 5.81% and 6.81%. The legislation includes a 9.5% interest rate cap for unsubsidized Stafford Loans and a 10.5% cap for Graduate PLUS Loans. Despite high default rates and subsidy levels, the Department of Education’s student loan program is profitable. The government offsets loan losses and subsidy costs by charging above-market interest rates to qualified borrowers. 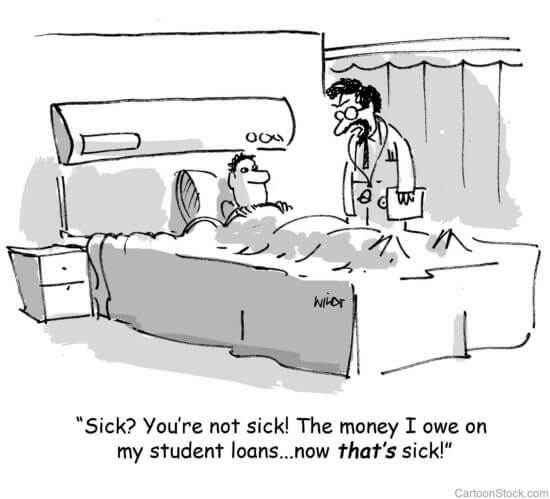 See Rational Lending: Demystifying Medical Student Loans for a full discussion of this topic. Obtaining a medical degree has become a loan-dependent, individualized investment that carries significant financial risk. It shifts physicians away from needed primary care delivery into higher-paying specialty care. It also makes it more difficult for qualified, lower-income students to become doctors. Recognizing this, Congress passed the College Cost Reduction and Access Act of 2007 (CCRAA). This legislation introduced income-based and income-contingent loan repayment as well as potential loan forgiveness for graduates working full-time in public service occupations. What Congress gives, it also can take away. The CCRAA also repealed the 20/220 rule, which enabled medical school graduates to qualify for economic hardship deferment during internship, residency and fellowships. The borrower must work full-time (thirty-plus hours per week) for an eligible employer. This currently includes non-profit health systems. The borrower’s loans are federal student loans. Borrowers must make 120 payments on or after October 1, 2007. Payments made before that date do not count toward loan forgiveness repayment. Borrowers must make full monthly payments within fifteen days of due dates. The government will not include any partial or late payments in its 120-payment requirement for loan forgiveness. After fulfilling PSLF requirements, borrowers can apply to receive tax-free forgiveness of remaining principal and unpaid accrued interest on their student loans. While the payout is great, the PSLF program contains multiple risks for applicants. In addition to stringent payment and full-time work requirements, medical professionals run the risk that their hospital employer could lose its tax-exempt status through acquisition to a for-profit company or through court-mandated decisions (this happened to New Jersey-based Morristown Medical Center in July, 2015). Loss of the employers’ tax-exempt status would prohibit participation in PSLF. Moreover, the government requires that the borrower demonstrate full compliance with PSLF program requirements. Most financial advisors counsel borrowers to keep detailed “audit-proof” records documenting their 120 qualifying payments. Lost or incomplete records could delay loan forgiveness. As currently written, the CCRAA enables medical students to qualify for loan forgiveness as long as they work for non-profit health systems while they meet the 120-payment requirement. Lower salaries during residency qualify borrowers for favorable income-based or income-contingent payment plans. This positions doctors for massive ($100,000-plus) loan forgiveness irrespective of future earnings. For example, an employed cardiologist with a $300,000 salary and $250,000 in qualified student loans could have the entire $250,000 forgiven under PSLF after making the required 120 payments. Extends loan repayment before forgiveness on PAYE from twenty to twenty-five years on amounts greater than $57,500. Taken together, these provisions represent a “belt and suspenders” attempt to accelerate student loan repayment and limit loan forgiveness for higher-income borrowers. The first three provisions work together to guarantee that only lower-earning borrowers qualify for PSLF by limiting income-driven repayment to PAYE, eliminating the existing ten-year monthly payment cap and eliminating standard ten-year payments from counting toward PSLF. The fourth provision, capping loan forgiveness at $57,500, further limits the government’s exposure to future student loan forgiveness. In essence, the Obama Administration believes only those working in lower-paying public service occupations should qualify for Public Service Loan Forgiveness. This is not an unreasonable policy argument. In the meantime, higher-earning medical professionals planning on loan forgiveness while paying above-market student loan rates incur a significant “tax” on their current and future incomes. High debt levels and high debt costs burden an entire generation of young medical professionals. While federal programs offer payment flexibility and potential debt forgiveness, those benefits come with significant uncertainty and high interest rates. In 2012, the Drexel College of Medicine hired Michael Clancy to become its Director of Financial Planning. Clancy has an MBA and is both a Certified Financial Planner and a Certified Life Underwriter. 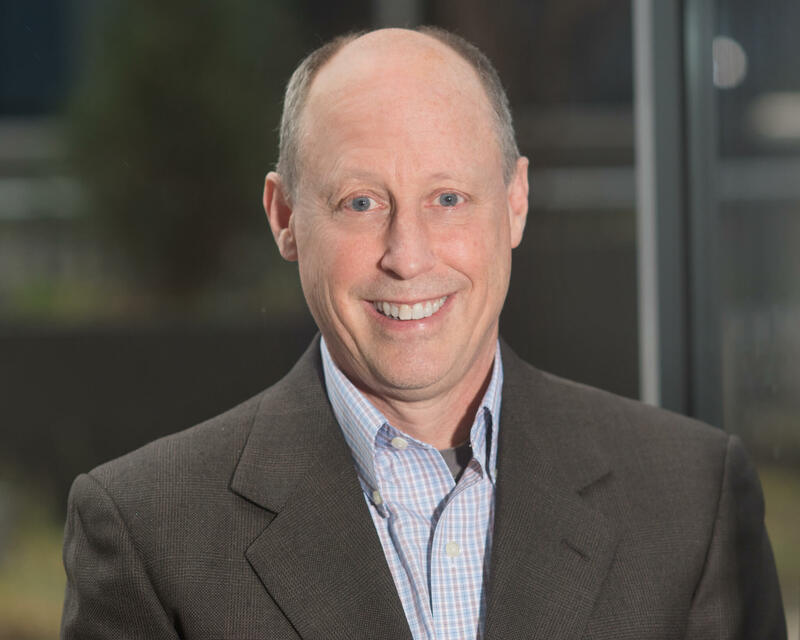 Drexel University’s CEO, John Fry, saw benefit in having an unbiased financial planner available to assist the College of Medicine’s students and alumni manage their debt. Since Drexel is affiliated with for-profit Hahnemann University Medical Center, Clancy is very familiar with the relative benefits of public and private debt restructuring alternatives. Clancy believes there are not “clear-cut answers.” Solutions must incorporate multiple variables, including the amount and types of debt, future earnings expectations, risk tolerance and uncertainties (e.g. a future’s spouse’s earnings). It’s important to separate the “signal” from the “noise.” Clancy advises his clients to “get organized, know the options, avoid hearsay and make informed decisions.” This includes consideration of private loan restructuring programs from companies like Link Capital. Private programs offer lower interests costs (as much as 3% lower), structuring flexibility and efficient servicing. For example, Link Capital can structure programs to maximize current income, minimize total debt repayment costs or achieve a blended solution. We’re impatient. We don’t want to wait 10 years to be debt-free. The burden of this debt hanging over us is real and we are eager for it to be gone as soon as possible so we can move on with our life and finances. Ten years is too long. It’s too risky. We don’t trust that the program will still be around or have funding in ten years. With the way that government programs change, there is no guarantee that the program will even exist ten years from now. As of now, no one has received loan forgiveness through the PSLF program, since it hasn’t been ten years from Oct 1, 2007 yet. It could be expensive. If for whatever reason we don’t qualify when the ten years of service are up, then we will have a hefty student loan bill which will have been growing for ten years! No thank you! We would rather pay extra now and get it paid off! The government appears intent on offering PSLF only to borrowers working in public service professions. As Stephanie Jones explains, there are good reasons why some who qualify for PSLF choose not to pursue loan forgiveness. In all likelihood, disappointment looms for high-income earners seeking to take advantage current provisions that allow massive loan forgiveness. This group includes many medical professionals. While there is no “free lunch,” good financial planning offers significant benefits. Tailored financial solutions can alleviate debt burdens, reduce uncertainty and improve lifestyles. More often than not, private debt restructuring achieves these goals more effectively than governmental alternatives.